Swiss-owned powerhouse watch brand, TAG Heuer is globally recognized as producing some pretty impressive wrist watches. Their most iconic models are deeply connected to sports timing and automobility – so you are promised ground-breaking science and craftsmanship when you buy one. During the Geneva Watch Fair in early January, TAG Heuer unveiled its latest innovation: the Carrera Calibre Heuer 02T Tourbillon Nanograph, which features carbon-composite hairsprings, and a oscillating multi-layered dial system on the sandblasted sapphire and hexagonal movement plate. 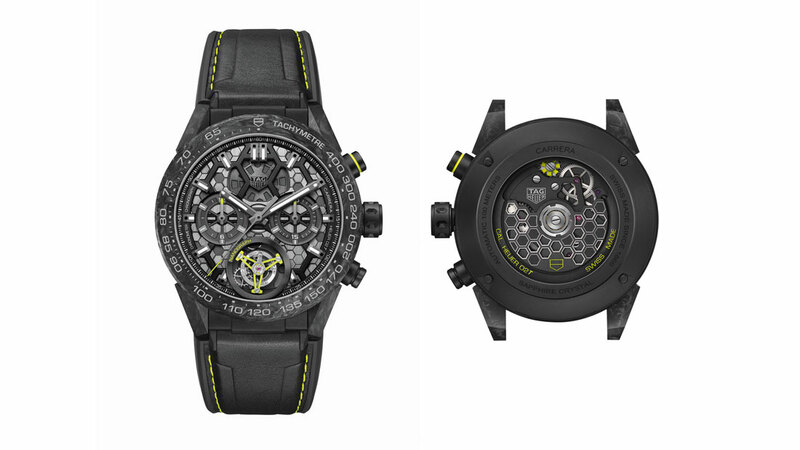 This new watch connects it to a long line of Carrera watches, and uses new materials and system technology to ensure watchmaking excellence. The most striking part of this new watch is the neon green colour dorning the aluminium bridges, wrist strap and the faces frame. Haute horlogerie, high-tech aesthetics and preciseness are just some of the things that TAG Heuer promises in their innovative watches and this model is no exception.